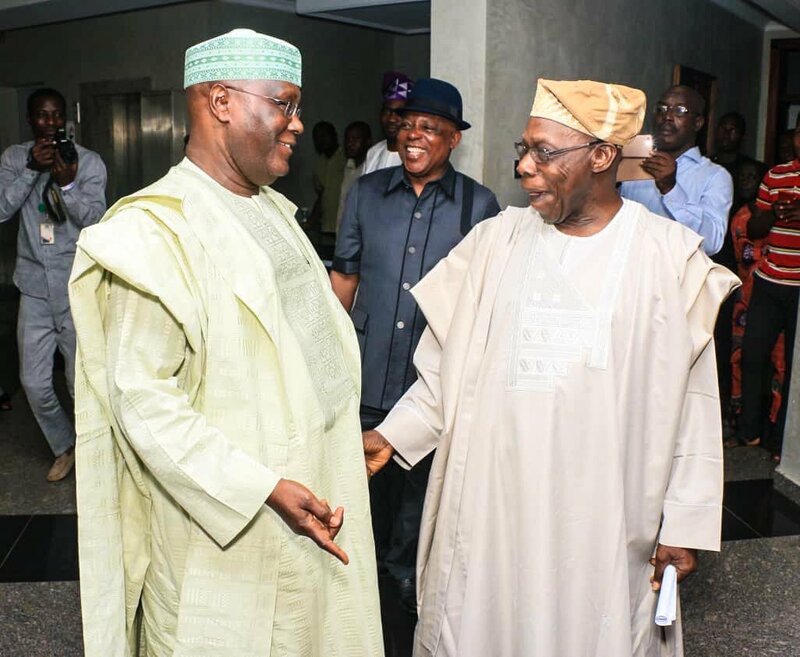 OBJ Calls Atiku President-To-Be; says "It Will Be Well With You"
The words of former President Olusegun Obasanjo; “Let me start by congratulating President-to-be, Atiku Abubakar, for his success at the recent PDP Primary and I took note of his gracious remarks in his acceptance speech that it all started here. Yes, when it started, it was meant for Atiku to succeed Obasanjo. In the presence of these distinguished leaders of goodwill today, let me say it openly that we have reviewed what went wrong on the side of Atiku. And in all honesty, my former Vice-President has re-discovered and re-positioned himself. Whenever or wherever you might have offended me, as a Christian who asks for God’s forgiveness of my sins and inadequacies on daily basis, I forgive and I sincerely advise you to learn from the past and do what is right and it will be well with you. Obviously, you have mended fences with the Party and fully reconciled with the Party. That’s why today, you are the Presidential Candidate of the Party. In addition to appreciating all that the Party has done for you, may I advise you to work together with all those who contested for the Party’s flag with you as a team for your campaign. There are still areas, nationally and internationally, where you have to mend fences and make amends. You will know how to handle what is already out and what may yet be put out by the opposition."